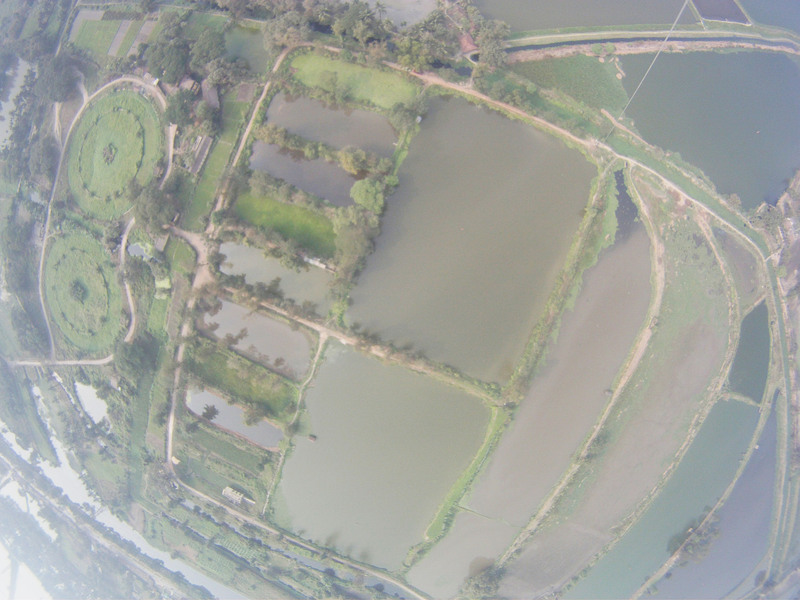 Inspired by Grassroots Mapping, the EKW team began their experiment with low altitude aerial photography with the aid of a jerry-rigged weather balloon and Go Pro Hero camera on December 13, 2011. This first flight yielded many photographs like the one above, but served mostly as a day to work out the details for low cost balloon photography with locally sourced materials. The team plans to continue work of mapping the wetlands while training Kolkata school children on balloon photography and mapping techniques. To read the full story about our first experimental day click here.